We seek ways to find spiritual renewal in the workplace. 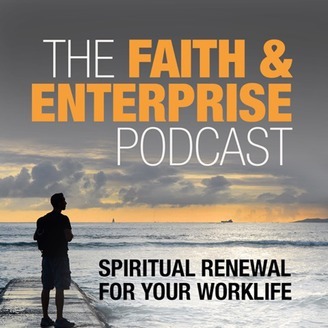 Our topics include finding meaning and purpose in our work lives (work or business as a calling), spiritual practices that can help us in our work, overcoming stress and other aspects of toxic workplaces (burnout, anxiety, boredom, unethical behavior, bad bosses), spiritual aspects of leadership, and how our faith and spirituality can help us in our work. Typical length is 8 to 12 minutes. 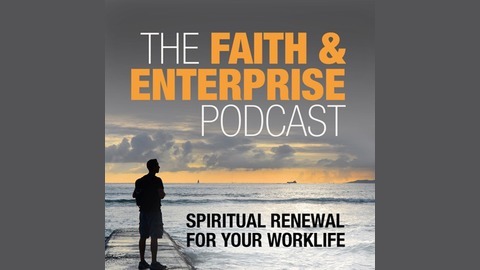 More information is available at www.faithandenterprise.org or podcast@faithandenterprise.org. This week we talk about the story of Norman Borlaug and his fight against famine. We also note some of the theological implications of Borlaug's work. This process calls for the work of scientists, engineers, technologists, and inventors. But let's not stop there. A broad range of occupations contributes to the process, including the people who design logistics and transportation systems, new ways of organizing information, new forms of organization, new ways of communicating, and all the other activities it takes to sustain this work. These all contribute. And it's not only the big innovations, like those of Borlaug, that really matter. The big innovations cannot usually survive without a whole host of smaller innovations, many of which are almost unnoticeable. And the big innovations themselves are often based on a great many smaller innovations.